Hate is a very strong word. That said, I really, really dislike the Windows 8 operating system found on PC’s nowadays! About 2 weeks ago, I purchased a relatively inexpensive i3, 6GB RAM, 750GB Hard Drive laptop pre-installed with Windows 8. I soon discovered how obnoxious the operating system is – a smartphone-type interface that ripped out useful, even fundamental, stuff found on the Windows 7 Start Page Menu. Interesting development. Microsoft canned the executive who championed Windows 8 soon after launch release. Microsoft is phasing out Windows 7, completely. Why? Windows 8, with a touch user interface, is billed as a better platform across-the-board – for mobile devices such as tablets to better compete with other mobile operating systems like Android and Apple’s iOS. Marketing vs. reality can be two different things. My computer is not touch screen. But even if it were, I’d want to – unload Windows 8. So, I looked into returning my laptop and snapping up an old Windows 7 one. But no deal, to be had: the majority of brick-and-mortar Big Box Retailers quit selling Windows 7 computers. Stuck and left with no choice, I searched for a work-around, investing several hours to find a fix – of which I shall share with you. Saves YOU time! This herein review and ‘how to fix’ guide may help. OMG! 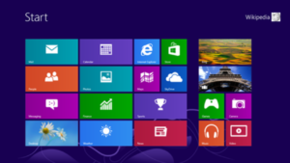 The Windows 8 operating system confuses – even for this semi-pro PC user. Fortunately for me, this laptop is for secondary use. For businesses forced to use Windows 8 as their main system, I shudder to think how the novice handles this workflow-productivity disaster. Even for personal use, Windows 8 is a long-hill climb to comprehend. I’m baffled at accomplishing historically easy tasks, like finding folders, launching the internet, locating programs and doing just about anything. After much frustration, I’ve opted to remove all the super exciting “features” of Windows 8, in an attempt to return my computer to Windows 7-like state. Yes. It’s a labor intensive effort, but it’s the only option. The most maddening thing about Windows 8 is that there is no Start Menu, which has been the central function since Windows 95. To my ire, I’m highly annoyed that the traditional left side of screen ‘Start’ button did NOT exist – at all! The Windows 8 Start Menu is a mosaic of tiles, which differ from traditional desktop icons by letting you view live information from Windows 8 Metro style apps without actually accessing the apps. In other words, Microsoft re-created the Start Page and replaced it with real-time crap apps you’ll probably never use, with many costing extra money to run. Windows 8 also left us with no easy way to locate folders, programs and other options – found in the classic Windows desktop interface. How to get the ‘Start” Button Back? As a work around, after much Googling, I found a free return-windows-start-button-for-Windows-8-download called classic shell. After a minute or two, without a reboot, my start button returned. Whew! Microsoft is reportedly building a patch to be released later this year. Forget about waiting. You can do it now, with the classic shell download. It’s frustrating. The high number of memory-sapping, unnecessary apps pre-loaded onto the Windows 8 Start Page. Upon review, many of these apps, are forced advertisements with functions, at an extra cost to run. The net effect of all these tiles is a massive billboard for all the bloatware that comes on a new PC. It takes about 30 minutes to delete this crap. How to? Right click mouse. Choose ‘uninstall’. One by one, you can remove them. Before I explain, I must chastise the name. It’s juvenile-sounding. Charms is a Windows 8 Start Bar feature that’s very difficult to locate at first. If you fail to read the Windows 8 OS manual, like I did, expect a struggle. How to locate Charms Start Menu? Click cursor to top-right-corner OR bottom-right-corner of screen. Here, you’ll find options including Start, Search, Share, Devices and Settings. Adjust volume or brightness. Wow. That’s super cool. Not. It can get really annoying. While I have not done so yet, you can TURN OFF “Charms”, click here. Based on the instructions, disabling it takes some PC user expertise. But you can do it! We’ve always used the escape button to switch from app to app, and if all else fails, we press Alt+Crtl+Del. 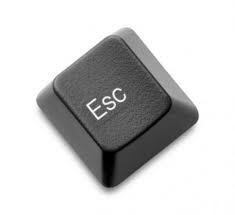 But in Windows 8 the ‘Escape’ button doesn’t work the way it should! For a while, you may, like me, run to Alt+Crtl+Del to find your way in Windows 8. Talk about forced corporate identity branding, in Windows 8, you’ll have to press the Windows key – to return to main screen or exit an application instead of our favorite ‘Escape’ button. Windows 8 hides a slew of switches relating to folders, their navigation, the items they show, how they behave and how they search for items. To fix, open any folder, click ‘View’ tab on menu along the top, click ‘Options’ icon, then under ‘Navigation Pane’ mark ‘show all folders’. Press ‘apply’ and ‘ok’. One of my biggest gripes is that Microsoft pre-installed Bing in locations difficult to find and remove. In my view, Bing, compared to Google, is clearly an inferior search engine. That said, trying to remove Bing is not as easy as 1,2,3, nor a quick add or remove programs uninstall. Of course not! First off, it’s difficult to actually find the ‘Add or Remove’ file folder thanks to wonderful Windows 8. When you do locate the add or remove section, no luck, Bing is not listed. Step 2: Go back to ‘Tools’, and press ‘Manage Add On’s. Under ‘Search Providers’, click you’ll find Bing alone. Scroll to bottom of page, click ‘Find More Search Providers,” where you’ll search for “Google”. Add it. Go back to page, right-click on Google and set as default browser. If Something Works Great Why Change it? To Microsoft’s discredit, it makes zero sense to re-make an operating system that people liked. Did Microsoft actually do consumer focus groups before launching this disaster? Apparently not. Or, if so, the survey questions HAD to have been loaded. After watching a Microsoft TV commercial recently, which stated that Bing, which Microsoft owns, is the number one search engine, I question their “scientific polling”. There is no way that Bing is better than Google. I’ve done the search comparisons. Google outshines. Likewise, Windows 8 is no good in my opinion. Windows 8 is a major hassle. It brings a learning curve steeper than perhaps any prior version of Windows. If you don’t like the new Metro interface by Windows 8, just install a free third-party utility that restores the Start Button and lets you boot to the Desktop. Plus, delete, delete, delete, like I did. Editor’s Note: Susan Stern, of Stern PR Marketing, is owner of a two-person, full-service Omaha Marketing Firm located in Nebraska’s largest city. Based on her expertise in Marketing, Public Relations, Advertising and Journalism, Ms. Stern is no stranger to offering opinions on a a variety of topics including technology. Inquiries? Visit Home >Official Website.